It can be happen to anyone – forgetting the car keys on the dashboard and being locked! But when this happens to you, you must turn only to professionals, who will provide you fast, secured and guaranteed getaway from this situation. Rely on our trustworthy auto locksmiths and have no worries in case this situation tries to frustrate your day, too! You can always reach us on 07462-327-027 phone number and be sure – we will be where you are in a second of a flash in order to fix your problem! Seeking for an emergency auto locksmith London Service. Don’t! 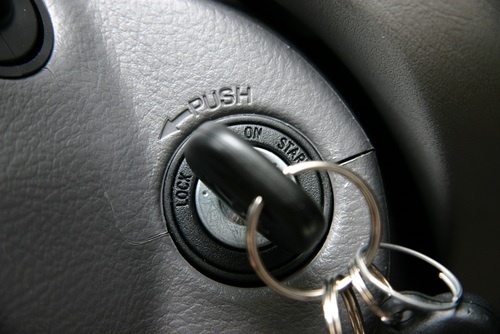 Turn to our auto locksmith services and escape from your own car trap in a minute! The reputable auto locksmith services that we provided are available for your 7 days per week. We cover both – weekends and holidays, too! Choose the most competitive, reliable and guaranteed auto locksmith services in London! We offer the best custom support, the most qualitative approach into quick car unlocking and our prices are the most budget-friendly in London! What do we provide? We will speedily come to the spot you and your locked car are. Then, we will quickly unlock your car and will provide all the other necessary security services – making brand new pair of keys, as well as rearranging the locks – if required – in order to prevent losses and robberies due to the lost keys. It does not matter what your car type or its year of manufacture is – we unlock all kinds of cars! Our special auto locksmith services are qualitative, fast, efficient and conducted to customer`s personal requirements! Our auto locksmith specialists are available 7 days per week and 365 days per year! The experienced team that supports your auto locksmith services is well-trained, educated and trustworthy! Best auto locksmith services in London compose of both – making new keys, getting you out of the locked car and providing the additional security assistance. Don’t hesitate to take the benefits of our additional high qualitative services – reconstruction and deactivation of the immobilizer (in case the key loss is due to transponder), extraction of both – broken or jammed, reparation of contact ignition keys. You can count on our 100% reputable and reliable auto locksmith services at low-cost prices! You can always rely on us and contact our specialists on 07462-327-027 phone number!